You’re not blind to race and gender, but your hiring process can be. Photo illustration by Lisa Larson-Walker. Photo by iStock/Thinkstock. When Christy Johnson was pregnant and working as a vice president at a tech company, a manager made some sexist comments to her. When she confronted him, he hid behind what he thought was a bulletproof shield: As the father of two daughters, he didn’t even see gender, he said. He was “gender-blind.” “I felt dismissed,” Johnson told me. That manager was far from alone. In Johnson’s present role as the CEO and founder of the strategy consulting firm Artemis Connection, she often hears company leaders say “they’re gender-blind or race-blind because of an experience they may have had growing up in a diverse community—or having a strong mom,” Johnson said. These ideas rest on certain assumptions: that it’s possible not to see difference at all and that recognizing or calling out diversity is what introduces stereotyping and prejudice. But a mounting accumulation of research has shown something very different: These claims can themselves act as blinders. In some cases, Johnson says, leaders are so insistent on blindness that they’re unwilling to hear about the systematic bias and discrimination that does exist. Part of the problem may be that the proudly blind are conflating two different issues—on one hand, ignoring difference, and on the other, creating blind hiring processes that mask certain identifying characteristics, as in the Boston Symphony Orchestra’s famous auditions behind a curtain in 1952. In fact, while the first of these ideas can backfire, becoming a real barrier to progress, this other kind of anonymized process really does offer opportunities to help level the field. What we really need is some strategic use of blind processes—led by people who are prepared to acknowledge their biases. 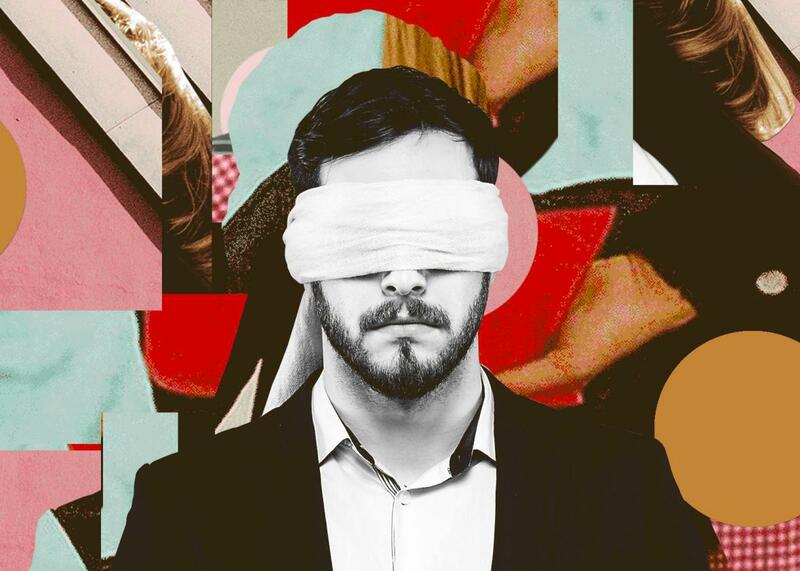 Colleen Ammerman, the director of the Gender Initiative at Harvard Business School, said that the idea of gender or racial blindness can offer people a way to let themselves off the hook. “If we believe that we’re blind to identity, that absolves us of any responsibility or imperative to reflect on ways that we might be bringing bias to the table,” she said. It may even make us more biased: The more people think they’re blind, or that they’re objective decision-makers, the more they may make biased choices, suggest researchers Eric Uhlmann and Geoffrey Cohen. In fact, Americans are socialized to automatically group others according to three variables—race, gender, and age. That automatic grouping triggers stereotyping, meaning that “even when members are seemingly included within a larger group or organization, they are vulnerable to subtle, often unconscious bias a result of their membership in a lower-status social group,” according to one group of researchers at Yale University. Social psychologists have also noted that the myth of racial or gender blindness is one that is useful only to those in the dominant group. People who are marginalized or in lower-status groups don’t have the luxury of being blind to the identities of others; to be effective communicators at work, they need to understand the prevailing codes there, even if this awareness doesn’t always rise to the conscious level. For example, when Valerie Purdie-Vaughns, the director for the Laboratory of Intergroup Relations and the Social Mind at Columbia University, studied how and why some black people were more effective at having conversations with white Americans about race, she found that the more successful communicators used distinct strategies, such as using more affiliation terms like we to connect with their white conversation partners. Hiring processes can range from completely open to completely blind, with the Boston Symphony Orchestra example on the latter end of the spectrum. In 1952, the BSO pioneered blind auditions of musicians, asking them to play behind a curtain and to walk on carpet to silence the tell-tale click of women’s high heels. That idea spread to other orchestras in subsequent decades, and the intervention was key to boosting the numbers of women in major U.S. orchestras from 10 percent to 40 percent. Today, there are research-based apps that, like Mozilla’s tool, help with the curtain effect by making sure hiring managers don’t see certain demographic details of candidates whose resumes they might be reviewing. Research has shown that names that reveal a person’s gender or ethnicity (or hearing their voice during a phone interview) can trigger biases and disadvantage certain groups of candidates in the job search process. As Shapiro suggested, however, these measures go only so far in preventing bias, especially when the process isn’t blind from start to finish. That’s what Stanford doctoral student Sharon Jank discovered when she studied the effectiveness of GapJumpers, a technology platform that employers can use to swap traditional résumé screening for work sample submissions stripped of any personal identification information. She found that this strategy did increase the proportion of underrepresented groups that made it past the first screening. But when employers continued the selection process with more traditional interviewing, this, according to Jank, “neutralized” the positive effects of the first blind process, in part because they weren’t following best practices to reduce and understand their implicit biases. Gerberg recommends a hybrid approach to hiring—blocking out identifying information on résumés, for instance, while also using unconscious bias trainings to be aware of how your stereotypes or mental shortcuts influence how you evaluate a candidate. The key, she says, is to clarify priorities with your team—for example, why it is that a particular credential is important and whether it’s a proxy for a competency that can be demonstrated in alternative ways—before you ever talk to a candidate. “The less ambiguity before the interview process starts, the harder it is for bias to creep in,” she says. Above all, what those who study bias in hiring have shown is that, no matter how many women, people of color, or others from disadvantaged groups you might know, true blindness is an illusion. What we really need to focus on—and what can actually benefit organizations in myriad ways—is learning to see, value, and make space for the differences between us. When we say we’re blind to race and gender, what we’re really saying is that we’re blind to something else: that we can never truly be blind and wouldn’t want to be, anyway.